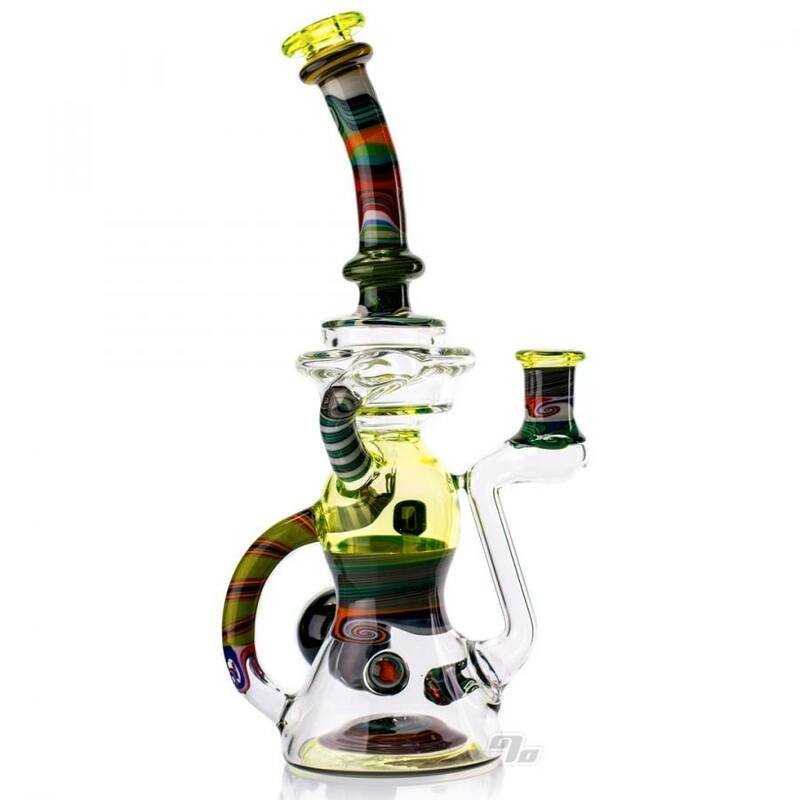 Latest from MTP Glass in collaboration with Joe Itza is this Mismatched XXL Klein in Illuminati with XL fume twist marble! Made in NYC! 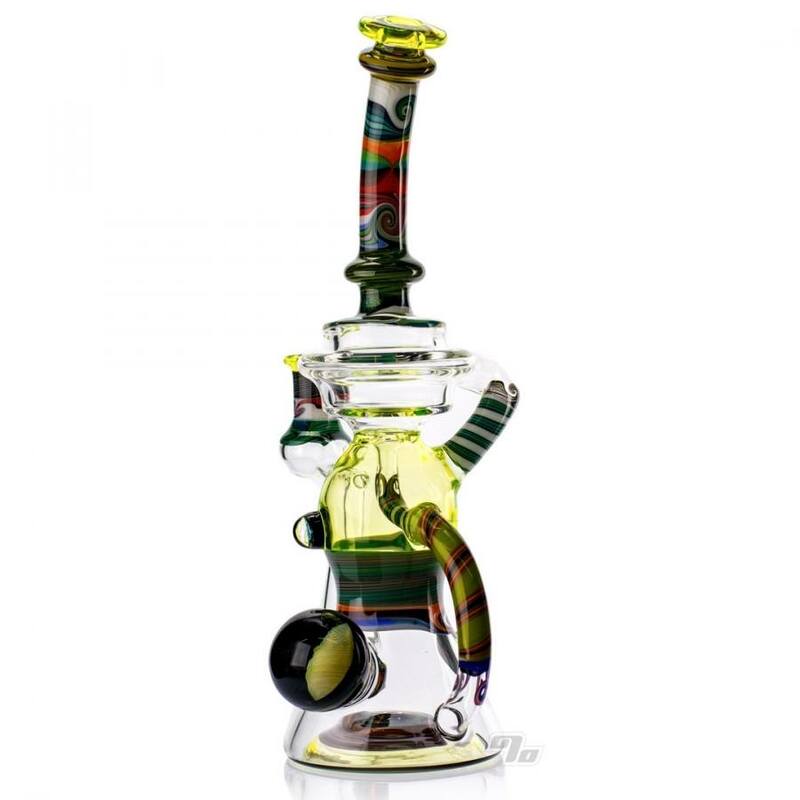 This monster Klein has everything you’d want in a piece. 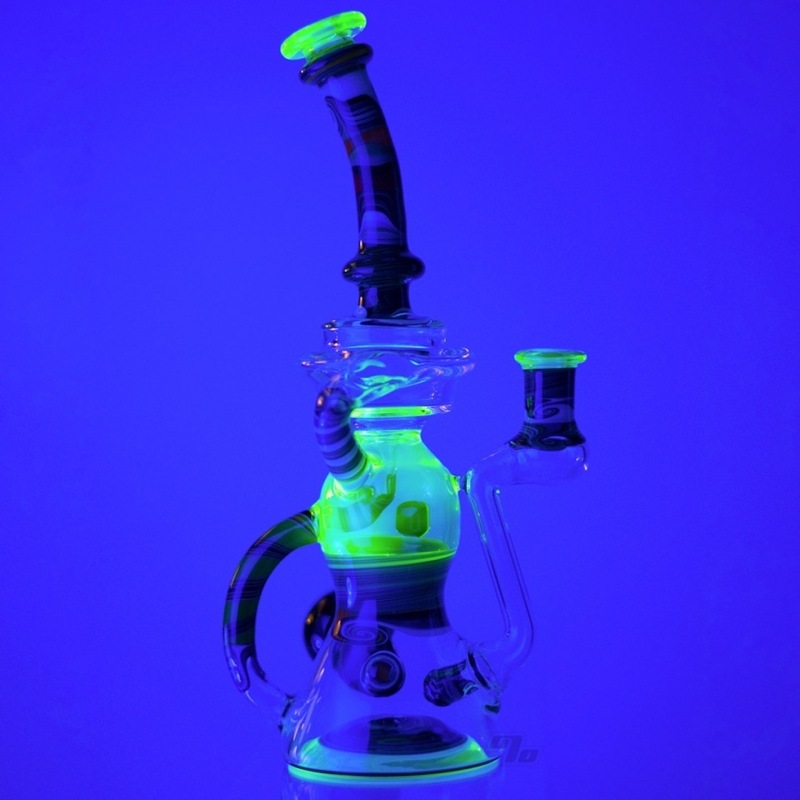 UV glow from the Illuminati, tons of Mismatched work to stare at, as well as an XL fume twist marble and millies. Not to mention Joe Itza’s flawless function. This collab is sure to please says Ben! Super functional and measures up at approx 12 inches tall and 5 inches deep. 3.25 inches diameter at base. 14mm female joint (banger hanger or e-nail). That fume twist marble you see on the back is an impressive 1.75 inches in diameter. Full water coverage on just about all internal surfaces. As with all MTP pieces you can rest assured that he thoroughly tested every new design.